Today’s bug of the day “Eristalis Arbustorum.” Looks like a bee, is a great pollinator, but it only has two wings, so… it’s a fly! 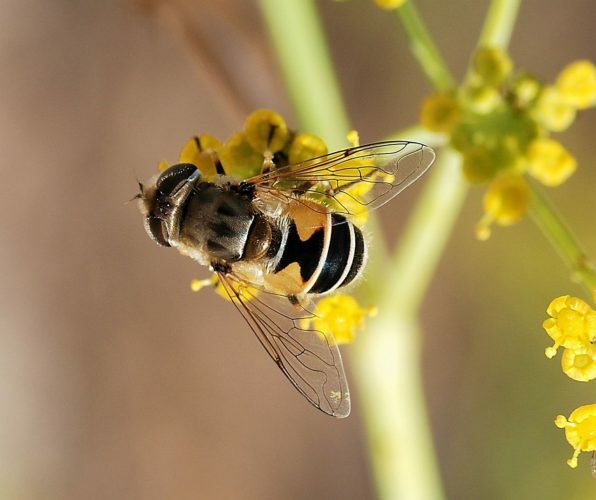 They are often called hover flies or drone flies. Thats a great way to tell the difference, there are a great many flies out there acting like bees. They are cute, sweet, and they help our flowers and fruits. Be kind to them.